The Internet of Things combined with the big data it provides is a powerful resource for businesses, a FierceCIO article reports. Jason Hope discusses the results of recent studies that have shown these benefits. As the Internet of Things grows, so do its possible uses, and combing the Internet of Things with big data could prove to be a powerful combo, reports cited by FierceCIO indicate. In a recent article, David Weldon of Fierce CIO looked at recent statistics that show how this combination is benefiting businesses. Jason Hope believes this is one of the main commercial benefits of the growing Internet of Things. According to the March 3 article entitled "IoT and big data a powerful combo, new studies find," an increasing number of companies are using the Internet of Things to gather data and business intelligence. The article quoted a Tech Pro Research study that indicated 29 percent of businesses currently use the Internet of Things in this way, with 26 percent planning to do so in the future. "The Internet of Things has moved far beyond hype, with measurable gains realized in a number of industries," wrote David Weldon. According to the report, the Internet of Things' flexibility is where it benefits businesses. It can fill in where current data mining problems make finding relevant data difficult. Gains were seen in the abilities to make better products, better identify customer needs, spot potential risks, make informed decisions, operate more efficiently and anticipate coming trends. "Data is crucial to business decision making," said Jason Hope. "The Internet of Things gives companies a new tool to use to gather, analyze and use that data. As the economy continues to improve, so does the need for relevant data, and the IoT makes that data easier to access." "Changes in industry as a whole are making the Internet of Things an increasing reality," continued Hope. "The technology, political structure and social acceptance are all in place now, so more and more companies are able to adopt Internet of Things solutions." In the coming year, experts expect to see an increasing emphasis on the commercial benefits of the Internet of Things, even while the consumer aspects continue to grow and develop. 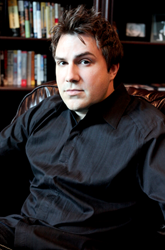 Jason Hope is an entrepreneur from Scottsdale, AZ, who works as a philanthropist and futurist. He enjoys watching the development of the Internet of Things, and uses his resources to fund medical research to help combat aging. Learn more about his work at http://www.jasonhope.com.